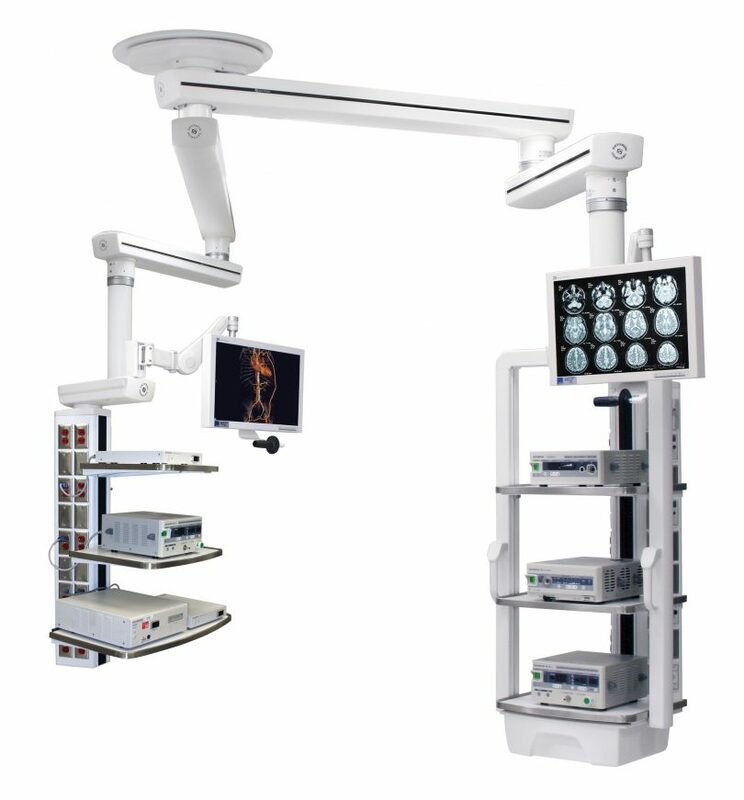 Since becoming a main supplier for Skytron in Western Canada, we’ve supplied and installed dozens of surgical booms in Canadian healthcare facilities. Many times, facilities involve us in the discovery phase when they’re building or renovating different departments. One of the first questions we always get, before even talking about function, accessories and whatever else, is how much the booms or pendants are going to cost. To which we have this to reply – costing out equipment management booms is like going to Subway. Everyone is going to choose a different type, as well as what they want included. Ceiling booms are no different. There is no one size fits all. Booms for the OR are customized according to the function or purpose. Surgical boom systems, also sometimes called equipment management systems, equipment carrier booms, or ceiling supply units, are totally dependent on five main factors for getting a final price tag. In this article, we are going to touch upon everything that affects the all-encompassing final cost, as opposed to just the actual product. It’s usually easier to start from scratch compared with changing something that’s already been done. With new builds, you can configure the room to be exactly how you want it from the get go. Keep in mind that structural requirements for boom configurations will vary, so the new build should reflect this. Whether building new or renovating, the end result is the same – equipment columns will be installed and as such require a lot of pre-planning. Additionally, with either option there will be a multitude of people involved, each with their own cost and influence. There are probably a few others, but the time it takes to gather the input from each and coordinate this process amongst all of them will also bear its own expense. Just as we don’t spend enough time worrying about why hospital gowns are designed the way they are, don’t worry too much if you don’t get everyone in on the process right at the beginning – you can be sure they’ll get a voice in the course of events. Along the way, you need to make sure that you’re getting all of the necessary approvals along the way, such as seismic testing, mount structure rigidity sign-offs and code inspections. The major factor in determining how much ceiling booms cost is its functionality. Which department is it going into? 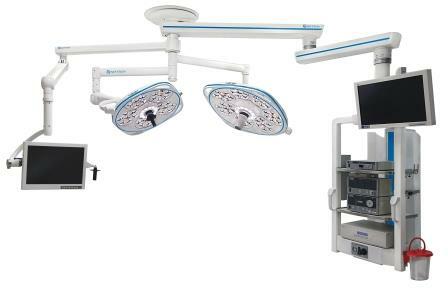 Some departments that use equipment booms are the operating room, labour and delivery, ICU, and emergency room. Depending on the department, some will have multi-functionality, while others are fairly straightforward. For example, in L & D there is one basic procedure – delivering babies. The OR, however, poses a bigger challenge in determining functionality. There’s general surgery, orthopaedic surgery, cardiac, gynecology, and interventional. Each of these procedures will require their own configurations. The emergency department typically requires simpler and smaller systems that require less access, features and services. ICU booms are generally two carriers and supply heads. The specific functionality of the booms will also determine things like weight capacity of the arms and mount, such as lightweight or heavy duty, in addition to number and type of accessories. While the cost of installation is usually already factored into the cost of the booms, there are some other factors to be aware of that could indirectly influence other cost factors. For example, how efficient is the boom installation team? Do they have a lot of experience? Imagine two install teams working on two different installs, and one of them finishes on time, whereas the other takes an extra two weeks. That’s two weeks of lost revenue for the hospital. What is the reputation of the boom installation company? Are they prone to mishaps from not following your facilities work conduct code? If they don’t follow procedures and something goes wrong, say unsafe work practices, now all of a sudden you have a significant and inconvenient legal mess that you have no choice but to divert time and money to. When considering a boom supplier, make sure to check their past project history. We’re not going to lie – boom accessories can be complicated. There are accessories that have accessories within other accessories. Navigating through the seemingly endless choices is tough because you need to figure out at what point you stop. Kind of like someone once said “It’s easy to meet expenses – everywhere we go, there they are”. To give you an idea of the depth of accessories, see the tables below. Please remember that this is just a snapshot of what is available. Obviously, the overall purpose of the room will have a direct impact on how the space will be laid out or designed. These important factors will have a significant impact on the cost of the complete room but also on the actual surgical support equipment itself. A boom requirement for a simple ER room is clearly much less complex than in a hybrid room setting where multiple booms of a complex nature are required for that type clinical demands. It is critically important to identify early on in the planning process that the boom equipment vendor has the product capability to provide the required and meaningful support for all current and future medical care requirements. In a bigger hospital, with wide designs or fit-outs, it’s vital to consider if the vendor of choice has a wide range of modular products that lend themselves to being adapted or configured to all the areas of care within the campus. Now that we’ve discussed the obvious major price factors for booms, let’s talk about some other considerations that are also of consequential importance. These are the less glamourous, yet essential-to-factor-in costs. The more intense boom system, the more boxes and shipping weight will be. Major boom installations could be up towards 40 separate boxes, while simpler systems may only be 15 boxes or so. Where is your facility located? Are you in a remote area, or in a populated urban setting? Check the warranty before making the final decision. How long is it for? What does it include; parts and labour, only parts, only labour? How much is extended warranty? Is there any type of maintenance not included in the warranty, such as annual inspections? After the warranty is over, what are the costs of parts? What is the cost of a service call? For example, one of the more common issues with booms is the braking system. Does the boom system come with electrical or pneumatic brakes that constantly require maintenance and are expensive to replace, or does it come with a friction brake system that is virtually maintenance free? All things considered, this question is impossible to answer with a simple figure. There is just too much customization. However, we have come up with some very preliminary figures to give you an idea. Note: These numbers don’t included installation or shipping. All ceiling supply units provide the same benefit, which is getting stuff off the floor. It’s making the space in the room more manageable and safer for everyone. By running all the lines, whether gas or electrical, through the ceiling mounted booms, you’re essentially eliminating any trip hazards and amalgamating everything into one easy access location. But does that make booms a generic commodity? Booms are not something you can ‘trial’ or get a demo of – kind of like going to your hair stylist and asking for a free haircut to “test drive”. However, going on a site visit to another hospital that has done a similar project to yours can really help you move your process forward. We hope to have illustrated as such with this article. Our goal is to make sure that decision makers are aware of all the factors and considerations when procuring boom systems. 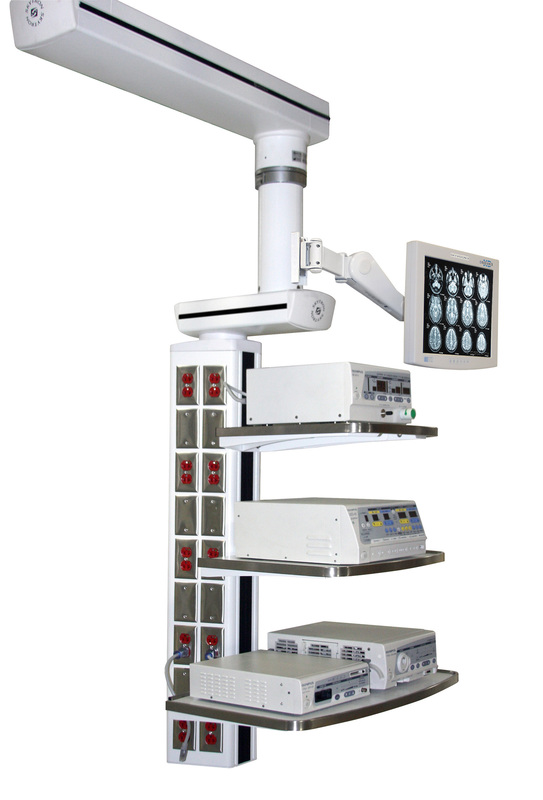 Meditek is a major player in the boom installation market in Canadian healthcare. 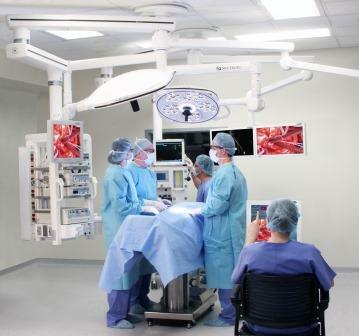 We have installed dozens of booms in some of the largest hospitals in Canada, right down to private surgery centers. Our knowledge and expertise, complemented by our design and consulting capabilities, put us at the top of the leaderboard. 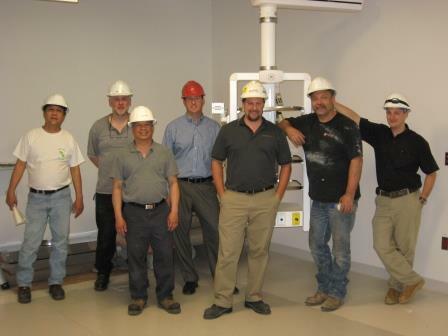 Please note: Meditek specializes in boom supply and installation for Western Canada.